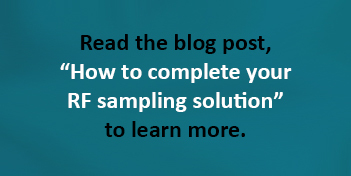 Learn more about TI’s RF sampling portfolio. 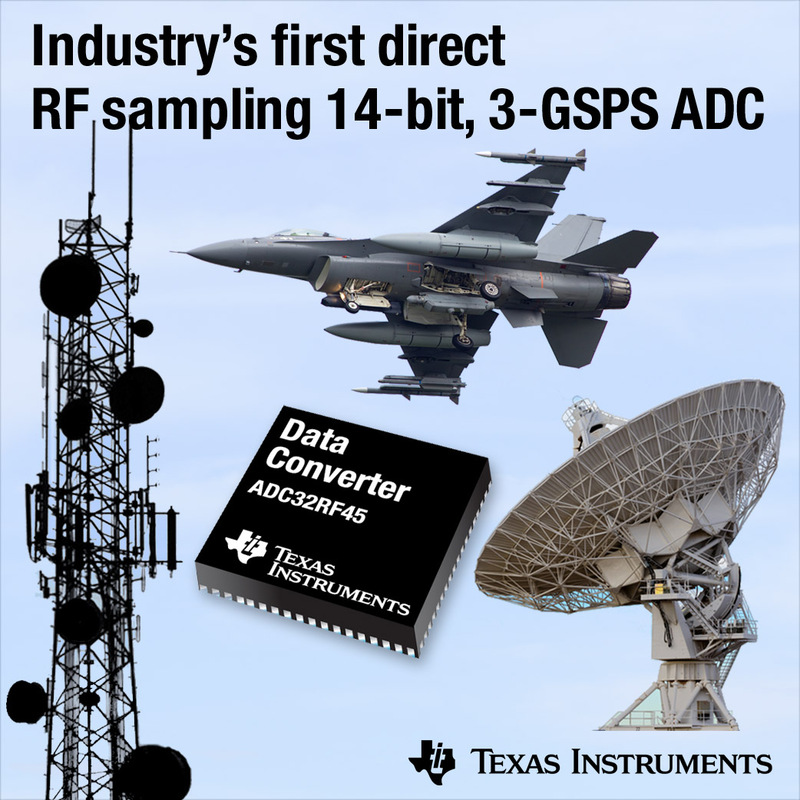 Texas Instruments (TI) (NASDAQ: TXN) today introduced the highest level of radio-frequency (RF) sampling performance with the ADC32RF45, the industry’s fastest 14-bit analog-to-digital converter (ADC). This dual-channel ADC enables direct RF signal conversion up to 4 GHz, giving engineers access to the highest dynamic range and input bandwidth. 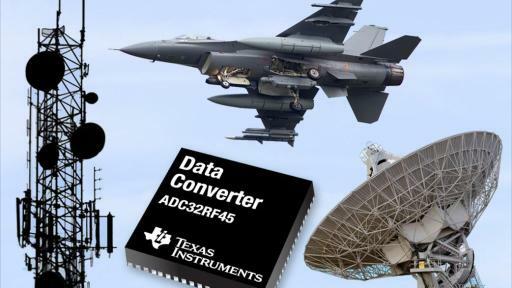 The first in a new data converter family in TI’s RF sampling portfolio, the ADC32RF45 eliminates up to four intermediate-frequency downconversion stages in multiband receivers, which simplifies system architecture and reduces board space up to 75 percent. 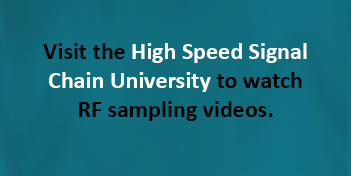 Direct RF sampling meets engineers’ requirements for higher integration, better noise performance, wider bandwidth and smaller footprints in radar, software-defined radio, aerospace and defense, test and measurement, wireless communication, and radio astronomy systems. For more information or to order the evaluation module (EVM) today, see www.ti.com/ADC32RF45-pr. Support for RF inputs up to 4 GHz enables direct RF signal conversion in the first, second and third Nyquist zones (including all L- and S-band frequency ranges). This reduces filter complexity, saves board space and decreases component count. The ADC32RF45 detects even the weakest signals with industry-leading noise-spectral density of -155 dBFS/Hz, 5 dB better than competitive devices. It offers industry-leading signal-to-noise ratio of 58.5 dB at a 1.8-GHz input frequency. Fastest 14-bit ADC with a 3-GSPS maximum sample rate delivers an instantaneous 1.5-GHz-per-channel bandwidth, enabling engineers to implement wideband in-phase and quadrature-component receivers beyond 2.5 GHz. The multiband digital downconverter extracts one or two sub-bands per channel, a dramatic digital interface data throughput reduction by up to 92 percent, saving system size, power and processing resources. Available now through the TI store, the ADC32RF45EVM is priced at US$2,499 and the TSW14J56EVM data-capture card is available for US$1,249. Additional support includes TI Designs reference designs and application notes. In addition to the ADC32RF45EVM available today, the ADC32RF45 will be in volume production in the third quarter of 2016 in a 72-pin, 10-mm-by-10-mm quad flat no-lead (QFN) package for US$2,495 in 100-unit quantities. 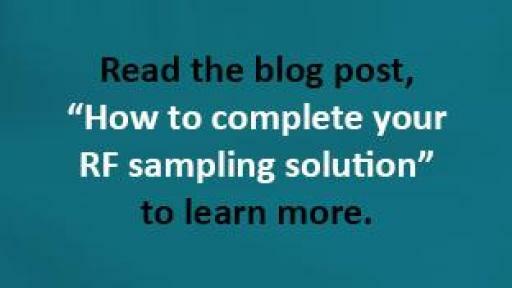 Read the 10-part RF sampling blog series. 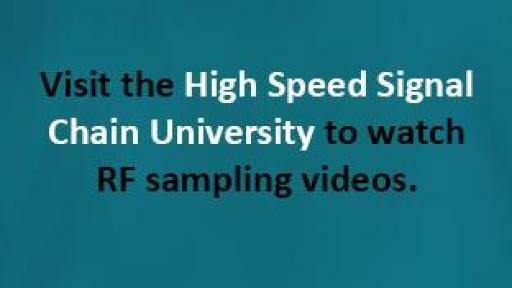 Watch RF sampling videos at the High Speed Signal Chain University. Experience the ADC32RF45 at International Microwave Symposium 2016, booth 419. TI is a global semiconductor design and manufacturing company that develops analog integrated circuits and embedded processors. Learn more at www.ti.com. Click to visit TI’s RF sampling resource page for support, including application notes and TI Designs reference designs. Robert Sgandurra, Director of Product Management, Pentek, Inc. Experience the ADC32RF45 at the International Microwave Symposium 2016, from May 24 – 26 at booth No. 419. Click to download the ADC32RF45 image.